At the Metropolitan communities, we are proud to provide our customers with availability and pricing online for our apartments. Simply click on the image below to view the information for the floor plan type in which you are interested. 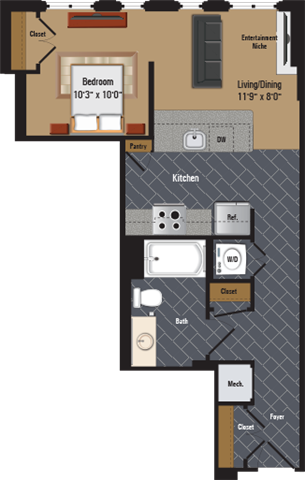 With over 100 apartment floor plans, chances are we have a layout that fits your needs. Once you find an apartment you like, you can even reserve it and pre-qualify at the same time. It’s that easy to find a new Pentagon City apartment for rent. Click on the floor plan to see a larger view. Minimum rate should be less than maximum rate!